And, yes, those are seashells! The color did not come out well in this picture! Celebrate summer and the anniversary of Gee Gee's Stamps in Carlsbad with me! 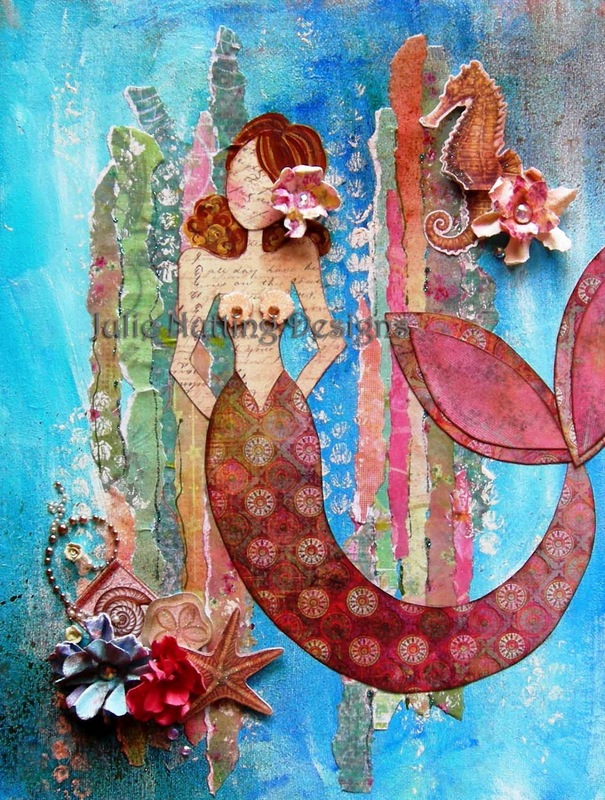 I will be teaching this adorable mermaid canvas on August 18. We'll be using Claudine Hellmuth paints and torn paper for the background. Prima papers and of course their gorgeous flowers will be used for embellishments. 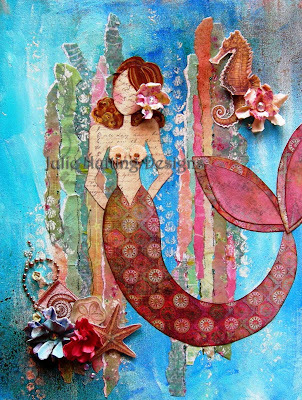 I will be teaching the canvas class in the morning and a mermaid tag class in the afternoon. That's a great-looking background. Cute mermaid and adornments. I LOVE this mermaid!!! It's beautiful Julie!